Fur-Free Friday, an annual event that takes place the Friday after Thanksgiving, aims to educate people about the horrors suffered by fur-bearing animals. Organized originally in 1986 by grassroots activists to abolish the fur trade, Fur-Free Friday has grown to be one of the most widely attended annual demonstrations of the animal rights movement. Through protests, education, and the promotion of cruelty-free fashion, LCA gives a voice to the millions of animals who suffer and die each year. Here’s Joey, being super cute this morning. 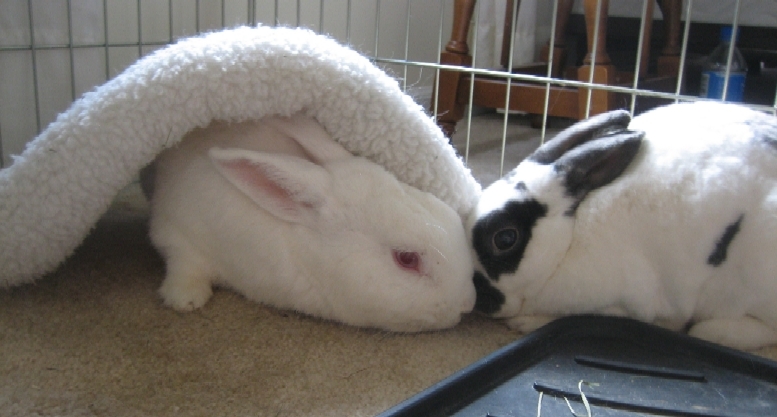 He is a New Zealand rabbit, bonded to his best pal Annabelle, a mini-rex. 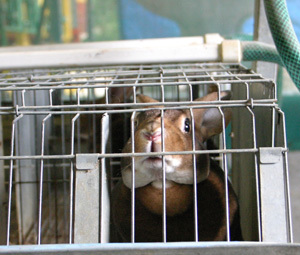 They are two of the breeds featured in the expose above as bred for their fur to make coats and other atrocities. So sad. When buns are bonded does it mean they’ve spent a lot of time together and are close and rely on one another? 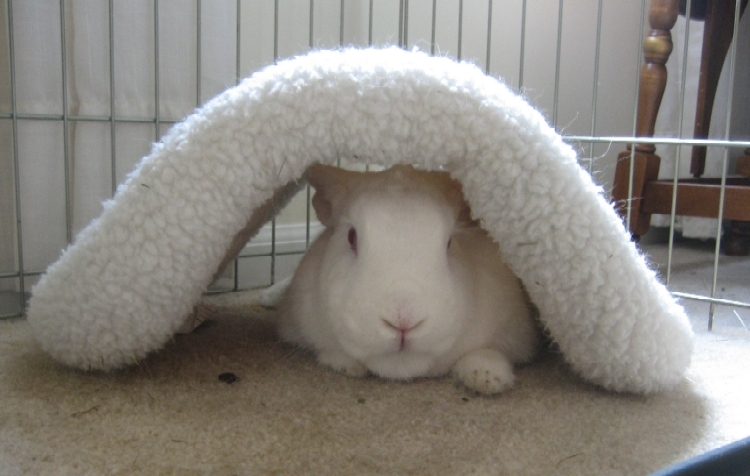 Adult (domestic) rabbits will fight if put together, but they are social animals and like companionship. So we get them used to each other (gotta alter them first of course or it’ll never work) by repeated short intros and once they figure out it’s more fun to kiss than fight, they cuddle all the time and groom each other. It’s a time-intensive process but worth it when they can have a buddy!